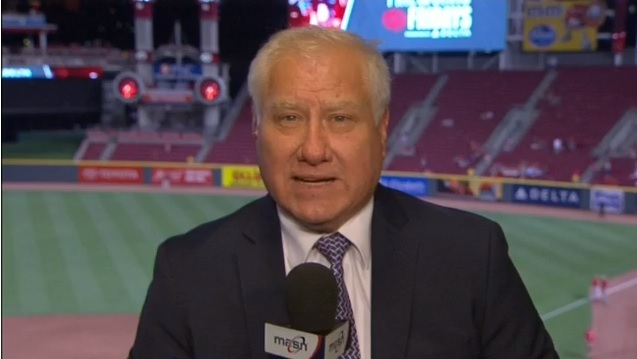 Ray Knight had been MASN’s Washington Nationals studio analyst dating back to 2007. However, Knight won’t be back in 2019 after MASN didn’t pick up his contract option for next season. This was not the first time Knight had fallen into trouble. Back in October of last year, Knight was arrested and charged with assault-and-battery after he got into a fight with an acquaintance. Both parties suffered injuries, some so serious that Knight required stitches after being bitten on his hand. Charges from that incident were eventually dropped. Knight had previously been an analyst on ESPN, and before that, a player with several teams including the Cincinnati Reds and New York Mets which led to a brief managing career with the Reds (1996-97, 2003). During his MASN career, Knight was teamed with studio host Johnny Holliday on Nationals pre and postgame shows. He was often known for his honesty and deriding the Nats when they didn’t play well. With Knight gone from the Nationals broadcasts, MASN will be looking for a replacement. And with this incident, we’ll see if another regional network takes a flyer on Knight, or if this for all intents and purposes ends his TV career for good.